February is I Love To Read Month, a special time of year to celebrate reading, writing, and books! Winnipeg Public Library is happy to share some recommendations for great books about the joy of reading. Throughout the galleries and exhibits, visitors to the museum can discover wonderful picture books to read with their families. 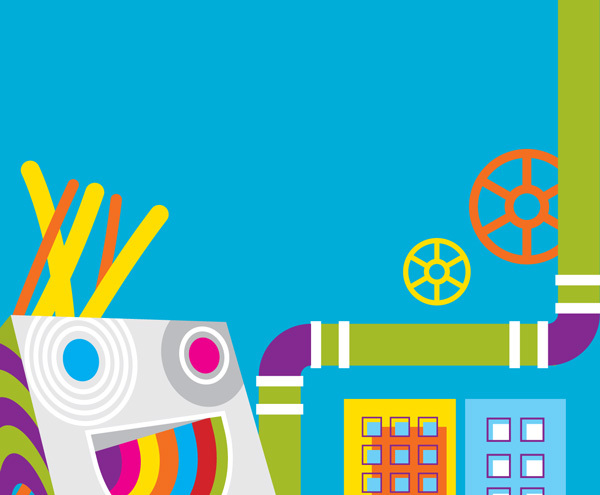 Be sure to check out all of the Children’s Museum’s I Love To Read programming here. 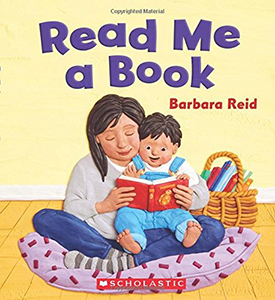 A favourite classic is Read Me A Book by Barbara Reid. This board book is a celebration of the pleasures of reading aloud anywhere, anytime. 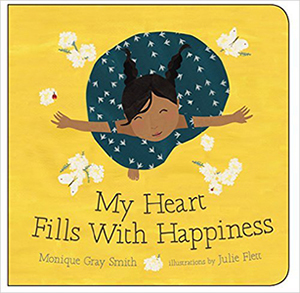 My Heart Fills With Happiness by Monique Gray Smith is another beautiful board book that invites everyone to reflect on all the little things in life that bring us joy. 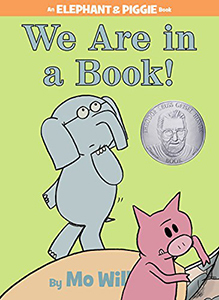 We Are In A Book by Mo Willems is part of the hilarious Elephant and Piggie series. In this adventure, Elephant and Piggie realize they are in a book and discover the thrill of “being read”; but, what will happen when the book ends? It’s up to Piggie to find a happy solution! 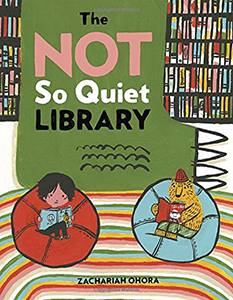 The Not So Quiet Library by Zachariah Ohora is a celebration of reading and libraries wrapped up in a raucous adventure. Oskar and his bear Theodore can’t wait for Library Day; until they have to come to the rescue when a monster barges into the library expecting an all-you-can-eat buffet! 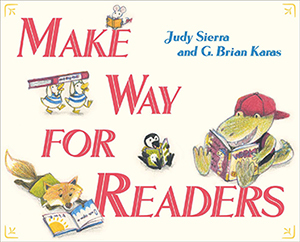 The little animals in Make Way For Readers by Judy Sierra can’t wait for story time. Miss Bingo (the flamingo!) is a storyteller extraordinaire who uses stories, rhymes, songs, and stretches to get the most fun out of reading. 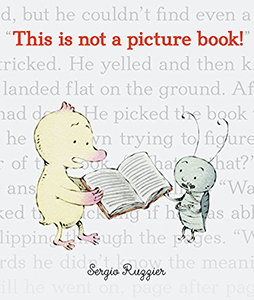 Finally, in This Is Not A Picture Book by Sergio Ruzzier, Duck is a little dismayed to discover the book he has found contains no pictures. No pictures!!! Can you imagine? But soon enough, Duck and his friend Bug discover that imagination and the joy of reading go hand in hand, and that they LOVE this book. You can find all these titles and more at Winnipeg Public Library. Be sure to visit us on February 4, 2017 for the second annual Take Your Child to the Library Day. Join the all-day celebration with family music concerts, literacy crafts, and games. For full details, see page 19 of Winnipeg Public Library’s newsletter At The Library, available online or at any library location. For more great titles, check out the I Love My Library Booklist. All titles are available at the Winnipeg Public Library or can be read onsite at the Children’s Museum. Download this Recommended Reading List (PDF) for free now! For more Recommended Reading Lists, click here. This entry was posted in M's Blog, Updates. Bookmark the permalink. Both comments and trackbacks are currently closed.